A comprehensive class of rescue and recovery options for kayakers. This three-hour class is ideally suited to paddlers who want to explore multiple means of self and assisted rescue. 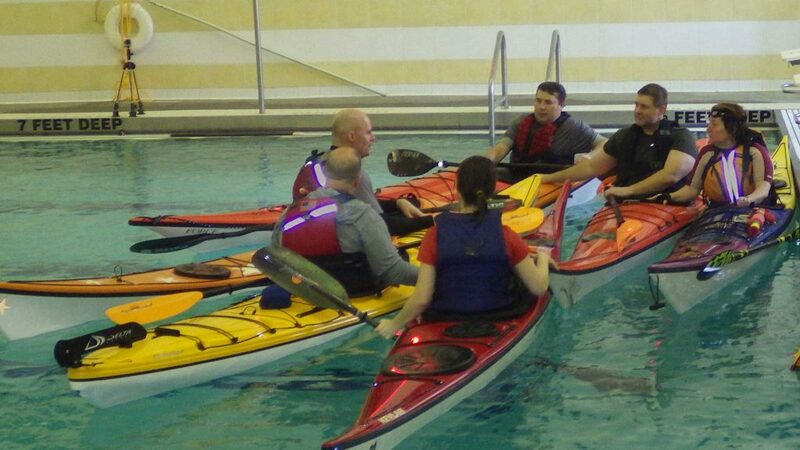 We will teach technically-sound maneuvers that will aid in re-entering a kayak following a capsize. Gear used will include paddle floats, rescue stirrups, and bailing implements. We will review multiple strategies to aid and assist fellow capsized paddlers or distressed swimmers. No experience is necessary. – It is recommended that clients arrive 30 minutes early to complete paperwork, get properly fitted to their kayaks and life jackets, and perform some basic stretches. – Using a sea kayak that fits properly, has a low back deck, and utilizes a neoprene spray skirt is strongly encouraged. – Equipment for the class is not included but can be rented for $50 per session. Our rental equipment includes high quality, comfortable sea kayaks, neoprene skirts, carbon paddles, and lightweight life jackets. • A large towel and a dry change of clothes. Showers and changing rooms are available.